Bhante Sujatha’s recent dhamma talk was on death and living. Accepting the impermanence of this existence, and seeing that we bring nothing into this life and take nothing with us when we leave. Everything that matters exist right now in the present. And our actions, our karma (kamma), is truly what matters for the self, the departed, and all other beings both human and non-human. This dhamma talk tied-in very closely to a recent article that I read regarding the view of life an death. In this article, the writer suggested we look at our friends, loved ones, and difficult persons as though they were already dead. Seeing how our feelings toward that person are transformed by their absence. Can you picture a difficult person in your mind right now, and then imagine you just found out they died. Are you still angry, or do you have hard feelings? Or does your view change into one of love and compassion, remembering only the good feelings and memories of this person. Now apply this process to someone that is alive in your life today. It could even be a suppose or child that you are angry or upset with. If you were to lose them today, would you have any of this anger or resentment towards them? Or is it more likely you would feel guilt for your last words and actions being cruel and hurtful? I think we all have a great opportunity for Right View, and to live fully present today. To live today with no regrets, and filled with love and kindness towards one another. Can you see there is a light that begins to shine in your heart as you do this? As you open yourself up and soften your heart and mind. I think perhaps the spaciousness that I have spoken of before begins right there. Live fully, gratefully and compassionately. 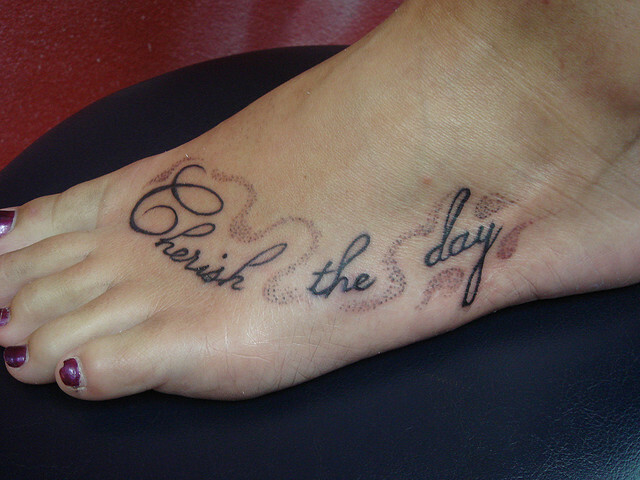 And in the words of Sade, “cherish the day”. What did I say? You have a job What if?